The life of a blogger is not easy. Between writing amazing content, making optimization-focused edits, researching new ideas, and checking site analytics, it takes a lot to keep a blog going. Not to mention, there's even more work that goes into monetizing a blog and/or creating a large market presence. But, the process can be incredibly rewarding! One of the best parts about blogging is being able to share valuable insights about a subject you care about. Whether you're blogging just because or you're trying to turn a blog into a side hustle, the writing comes much easier when you choose a niche you care about. That's only the first step in figuring out how to find a niche for your blog, though. Keep reading for the complete 5-step guide you need to use when finding a niche. Maybe your issue with picking a blog niche isn't that you don't know what you'd like to write about. Maybe there are so many things you love that it's hard to choose just one! This is a situation many new bloggers find themselves in. It's human nature to have more than one passion. You likely have all kinds of different topics you want to learn more about and/or share your knowledge on. So, the best way to start finding your niche is to write everything out. Make a list of the topics that excite you; the ones you're constantly reading about or discussing with friends. Consider the hobbies you enjoy and the thing(s) you've always wanted to learn more about, too. Then, rank everything on your list from the most exciting and interesting to the least. The next step in picking a niche is to research the competition you might be up against if you were to create one kind of blog versus another. You're bound to have plenty of competitors no matter which niche you choose, considering the millions of blogs on the internet right now. The more you make yourself aware of these competitors, the better position you're in to differentiate your content. This is also a good time to learn more about how SEO works. All successful blogs have some sort of optimization strategy to them. As you're browsing the most popular sites among different industries, you should start to see a trend. Notice how user-friendly a blog's navigation is and the way that some blogs have created affiliate strategies. Keep in mind how often these blogs are releasing new content and maybe sign up for their newsletters to see what those are like, too. Even pay attention to the kind of action words they use like "check this out" or "learn more here." These are just a handful of the tactics that big blogs have used to get to where they are today. Learn about them now so you can make your blog a huge success once it starts - no matter the niche you choose. As you start narrowing down the different niches that appeal to you, think about what gaps your blog might be able to fill. Sure, there are all kinds of travel sites out there that talk about airline deals or things to see/do. There's no shortage of personal finance blogs, either. But, there you have a bright, innovative blog idea to share with users. You just have to figure out what that idea is! Go back through the top blogs you've been researching, and do so with a more critical eye. Ask yourself what else you'd like to see from them. Consider what's missing, and think about how these great blogs could be even better. It's this kind of attention to detail that will help you take a stand within the niche you end up choosing. It gives you the ability to carve out your own space in such a saturated market. By this point, you should only have 2-3 niches to choose from. These ideas should be semi-mature, meaning that you have a clear idea of what direction you would take each different blog in depending on the niche you end up diving into. Now it's time to consider the kind of people that each blog would reach. It's much different to make a financial blog for millennials than it is to write a travel blog for retirees, after all. You should be able to relate to your target audience on a personal level, though. 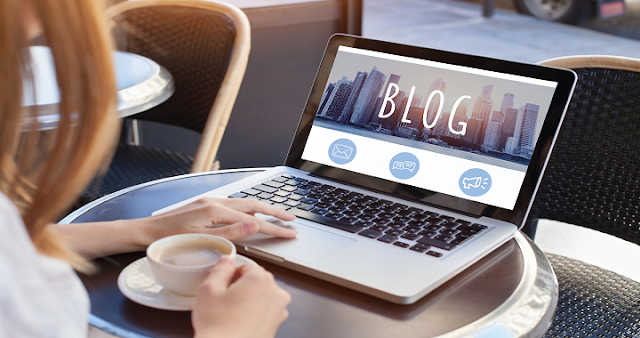 Blogs work best when the people producing the content are able to put themselves in their readers' shoes. But more importantly, you need to know who your reader really is! Take a deep dive into the target audience for each blog idea you're contemplating. Get to know these people's interests, habits, desires, and pains. Create a clear picture of them in your mind and consider which persona you'd be able to connect with - and provide value to - the most. You can expand into different topics and industries as your blog grows. But, it's hard to create a strong brand when you're just getting started if your content is all over the place. As such, the final step in choosing a niche is to consider where you want your blog to be a few years from now. Once you establish a strong presence within the first niche you choose, what other topics would you like to explore? Who would you want to reach beyond your target audience? It's never too early to start thinking about a long-term growth strategy. In fact, you need to be thinking long term in order to choose the best possible niche. This gives you the creative freedom you need to keep coming up with new article ideas and ways to monetize, which are essential to a blog's success. It's one thing to figure out how to find a niche when you're just getting started in the world of blogging, but it's a completely different story to expand into a new niche after you've established your blog. You want to make all your expansions as seamless as possible. It should feel natural for a frequent reader of your blog to visit it one day and see a whole new section of how-to's, reviews, or whatever else you decide to write about. Similarly, you want the people in your secondary niche to find value in the topics that you wrote about from the get-go. For more blogging tips and tricks to use at any point of your blog's journey, click here.